After months of hype, debates, endless press coverage and multitudes of snarky television, print and radio ads, it’s finally election day. Politics in our country seems to continue to get uglier and uglier and the widening gap between conservatives and liberals keeps getting bigger and bigger. All of which makes it difficult to escape the continuous vitriol-filled babble about politics that surrounds the election. So, maybe you’re exhausted from all the hype you wish it would just go away already. Maybe at this point you’re thinking it isn’t even worth voting because it might seem like you’re such a tiny little cog in the enormous wheel of democracy that it’s not worth the effort to drag yourself down to your local polling station. I get it. I’m tired of all the fuss and muss, too. And I was sorely tempted to just boycott the whole thing. Until I sat down and thought about why we vote and the price those before us paid for the right to do so. Let’s not forget that we fought a war in order to found our country. 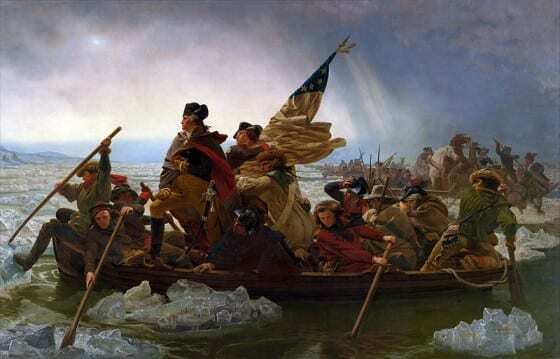 25,000 men died and an estimated 25,000 more were wounded during the Revolutionary War. Just so we could tell the Brits to mind their own business and draft our own constitution that created the United States as a democratic country. The constitution allows for states to control voting regulations, but also sets up our nation as a democracy. When our country was first founded, this worked well if you were white, male and rich. It was not so great for everyone else. But hey, we had to start somewhere. After a long, bloody civil war that left 365,000 dead and 275,200 wounded, the fifteenth amendment to the constitution was passed in 1869, which gave African American men the right to vote. Kind of. Individual states still had final say in who could vote and when. People who weren’t so keen on the idea of African Americans having equal rights got busy and drafted some fun new state laws. 1869 also saw the introduction of many state laws that attempted to keep African American men from voting. Deterrents included literacy tests, poll taxes and physical violence. In 1876, 150 black men were killed in North Carolina during that election while trying to exercise their rights to vote. 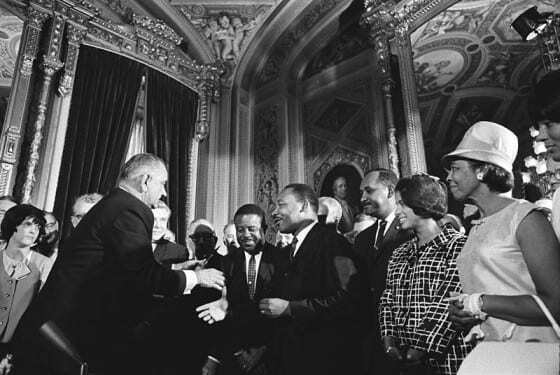 African Americans would spend close to 100 years trying to obtain full civil rights in the United States. The Civil Rights act of 1964 and the Voting Rights Act of 1965 finally made it possible to vote without incurring physical harm (though racism still exists and often makes it difficult to vote). If you were a property owning (read “rich”) man, you were voting as soon as the constitution was ratified. But if you didn’t own a piece of land, your voting rights were restricted (or non-existent). Many of the laws that were focused on keeping African Americans from voting affected white men, too. Poll taxes, residency requirements and literacy tests kept the poor powerless to have their say at election time. The women’s suffrage movement began in 1848. More than 70 years later, the nineteenth amendment to the constitution provided universal rights to vote in 1920. The suffrage movement was brought to national attention during World War I. After President Woodrow Wilson stated that World War I was a “war for democracy,” suffragettes Alice Paul and Lucy Burns led demonstrations and picketed the White House. One banner read, “”We women of America tell you that America is not a democracy. Twenty million women are denied the right to vote.” This banner was unfurled as a delegation of Russians drove up to the White House. It raised some eyebrows and made an impression, to say the least. 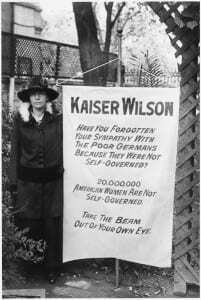 The “Kaiser Wilson” banner stirred up a whole lot of trouble and got people arrested. Alice Paul was sentenced to seven months in prison and underwent a hunger strike. Finally, President Wilson, who’d had enough of the bad press, in 1918 changed his position on women’s suffrage and declared his support of it in light of the war effort. So World War I, which left 116,516 men dead and another 204,002 wounded, was also the impetus for voting rights. During the Vietnam War, young American men were going overseas in droves and a bunch of them weren’t coming back. Many states had set the voting age at 21, but students and other protesters noted that, while they were eligible to fight and die for their country at age 18, they were unable to voice their opinions at the polls. This didn’t seem right. 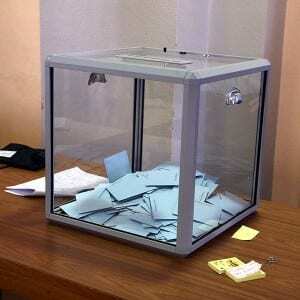 So in 1971, the twenty-sixth amendment was adopted, which lowered the voting age to 18. Many historians point out that the Vietnam War, in which 58,220 Americans were killed and over 300,000 were wounded, was the impetus for this amendment. As a country, we’ve been through a lot to procure voting rights for all U.S. citizens. Thousands of people spent long hours working and lobbying for rights. Some were physically injured, financially impacted and openly ridiculed. Some died. For every citizen in this country, the right to vote was greatly helped by a war. The Civil War began the long, hard road toward equality and voting rights for African Americans. World War I gave women’s rights advocates the world spotlight that changed the mind of a president and lent support to a constitutional amendment. The Vietnam War showed Americans that those who are old enough to die for their country should have a say in who runs it. Your vote matters because every time you vote, you’re exercising your right to do so. It’s a right that was hard-fought and hard-won. So get up off the couch and participate in the democratic process. You owe it to yourself. And to those who went before you.